- Double black drawcord closure. 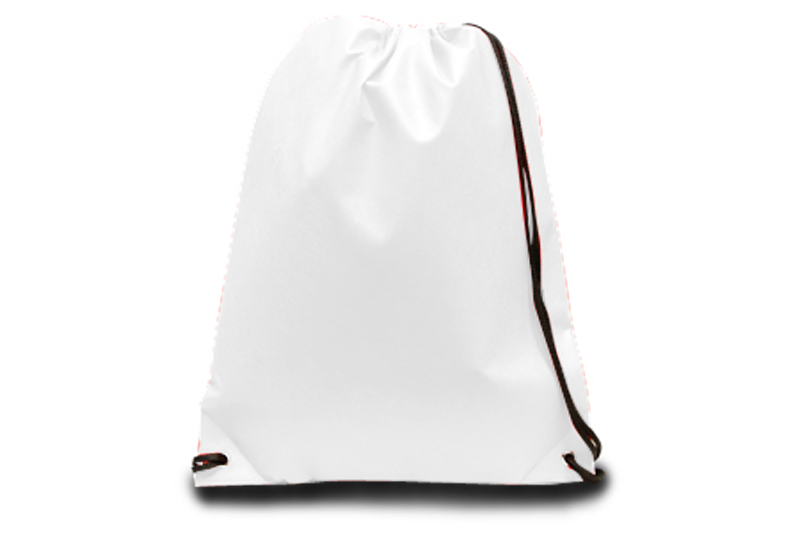 Liberty Bags 90 Gram Non-Woven Drawstring Backpack. 100% Ultra heavyweight 90-gram polypropylene. Double black drawcord closure. Bottom grommets. Non-branded label/tag. One Size: 14" x 18". Colors: Red, Navy, Royal, Forest, Black.